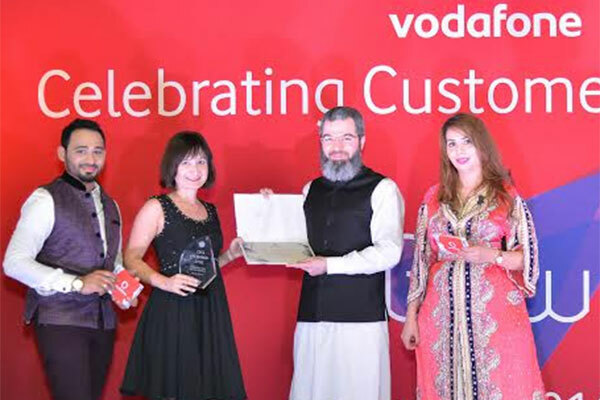 Dubai-based Workz Group, a leading mobile products and solutions provider, was accorded the ‘Best Experience Support Partner’ from Vodafone Qatar the during the telco’s 2016 CXO Awards ceremony held recently in Doha, Qatar. Vodafone Qatar and Workz, whose partnership dates back to the operator’s launch in Qatar in 2008, have jointly developed many innovative products for the telecoms industry. Last year, the companies pioneered the introduction of a scratch and win promotion for the operator’s recharge cards. The campaign saw a revenue increase of approximately $360,000 in the month of promotion, this lead Vodafone Qatar to adopt scratch and win promotion for all its upcoming recharge card projects. Vodafone Qatar also introduced the first-ever dual country telecoms plan which was launched at a VIP London event with an exclusive gift box designed in collaboration with Workz. During the nine-year partnership, the companies have also brought to market ‘smart’ recharge cards that allow users to quickly add phone credit by scanning a QR code with their smartphone. Other projects include an enhanced demand planning and optimised inventory management which resulted in logistic savings of $500,000 and more environmentally friendly transportation methods that reduced the operator’s CO2 footprint by over 92 per cent. “Here at Workz, we feel part of the Vodafone Qatar’s family and I believe it is the strength of the relationship and trust that has allowed us to achieve what we have together. We are working hard to continue this record with Vodafone Qatar and in every project we undertake we strive to offer winning, innovative solutions that overcome market challenges and make a difference to our clients’ businesses,” he added. “The success of a business can be summarized into 3Ps: product, process and people. At Vodafone Qatar, however, we have 4 and the 4th ‘p’ is a partner. For the past nine years, there’s one partner who has been a key to new product launches, loyalty programs, green initiatives and cost optimisation,” Mirza added. “They have been very instrumental in implementing and bringing into market innovative ideas to make Vodafone Qatar the first. We were the first operator to develop QR Codes on recharge card; the first to launch a scratch and win card concept and first to launch environmental friendly SIM packs in the region.